If you’re wondering, ‘How to build backlinks for a new website?‘ then you are at the right place. This article will share hundreds of ways to build backlinks for a new website or blog. It’s a known fact, if you want to rank your website on the first page then you need to optimize it for various search engines. This optimization process is known as SEO ( Search Engine Optimization). Next, Search Engine Optimization is further divided into two parts. First, On Page and Second, Off Page techniques. ‘Backlink’ comes under the Off Page techniques. If your site has a good number of high-quality backlinks then it will definitely improve your search engine ranking. We know, it seems easier to build backlinks for your website. But the actual fact is different. It is easier said than done. Yes, it is very difficult to build backlinks for a website especially when it is new. Remember, No one will link back to your site if you don’t have any authority in the market. 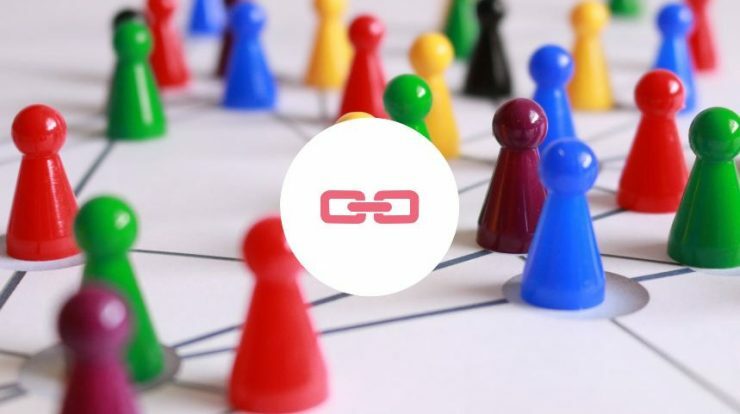 Assuming your website is new and you are struggling to build backlinks for your site, we have written this article to share hundreds of different ways to build backlinks. After reading this article, we are sure you will be in a position to build backlinks for your site. Though this article is written with an assumption that your site is new, still this article will help others also. You are not a beginner, no problem, you can still use below mentioned ways to build backlinks for your site. So, What are we waiting for? Let us discuss different ways to build organic backlinks for your website or blog. Create a profile account on high authority websites like SoundCloud, Microsoft etc. Submit Guest Posts on other’s website. Get active on any forum and link back to your website while sharing any post on the forum. Build backlinks by commenting on other’s website. Submit your website or blog on free web directories. Ask other bloggers to do a link exchange with you. Upload a video and post your website URL in its description. Submit your RSS feed to various RSS feed directories. Share your content on various discussion boards like Quora. Organize a blogging contest and get backlinks from the participating blogs. Similarly, join any blogging contest and get a backlink on winning the competition. Make use of Blogging communities like Blog Adda etc. Submit your content on such blogging communities. Contribute on Wikipedia page and add your site whenever a citation is required. We know it is difficult to get a backlink from Wikipedia, but not impossible. To know how to build backlink from Wikipedia page, please refer to this article. Make use of web 2.0 blog to build backlinks for your site. Use HARO ( Help a Reporter Out) and contribute to get a link back from high authority websites. HARO is the best place to get backlinks from high authority websites at free of cost. Report broken link to a webmaster and ask him or her to replace the broken link with your URL. Request any other blogger to link back to your site if you mention their services in your post. Create a mobile app and submit it on the Google App Play Store. Do SEO audit of your site and get a free backlink. Submit your site to product showcase. For example, if you are using WordPress then submit your site on WordPress showcase website list. Help any other blogger and ask him or her to link back to your site in return. Ask your friends to link back to your website. Link back to your site from another website. If you own two websites then you can link back to each other and get a free backlink. Share your problem and build backlinks. For example, if you are using WordPress then share your WordPress related problem on their official website and ask for the help. Of course, you will link back to your site while asking for the help. Submit your site to Feedburner. Build backlinks from Social Media Profile Page. Submit your site on various search engines. Create Free Tools. For example, you can create a free Backlink checker using API of Moz. Write content rich articles and other will automatically start linking back to your site. Start selling online on discount. Discount Coupon sharing websites will start linking back to your site. Contribute to Edu Websites or blogs. Contribute online by sharing your knowledge. For example, if you are master in excel then you can contribute your knowledge on Microsoft site and link back to your site while sharing on the site. If you don’t wants to work hard and instead looking for the fastest and the easiest ways to gain some backlinks then you can give a try to powerful automatic backlinks generators. Online, there are many websites or tools or softwares that allows you to generate backlinks automatically. But, always remember, automatic backlinks generator are not good for SEO. Please refer below articles to get the list of best free backlinks checker tools. Above all are the various different ways to build backlinks for your new website. If you face any problem in using any above-mentioned technique then feel free to contact us or share your problem in below comment box. Trust me, it is difficult to build backlinks especially for a new website but not impossible. Once you start writing content rich articles and gets few backlinks, both search engines and other bloggers or online entrepreneurs will start noticing you. And, then you will start getting backlinks automatically. At last, wish you all the best for building backlinks for your new website or blog.